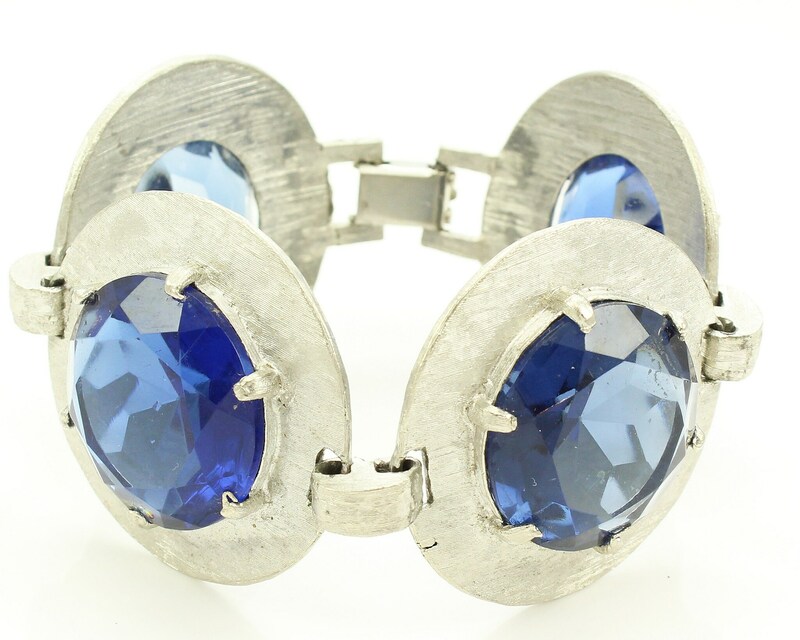 Vintage Silver Tone Bracelet with Huge Blue Glass "Stones". 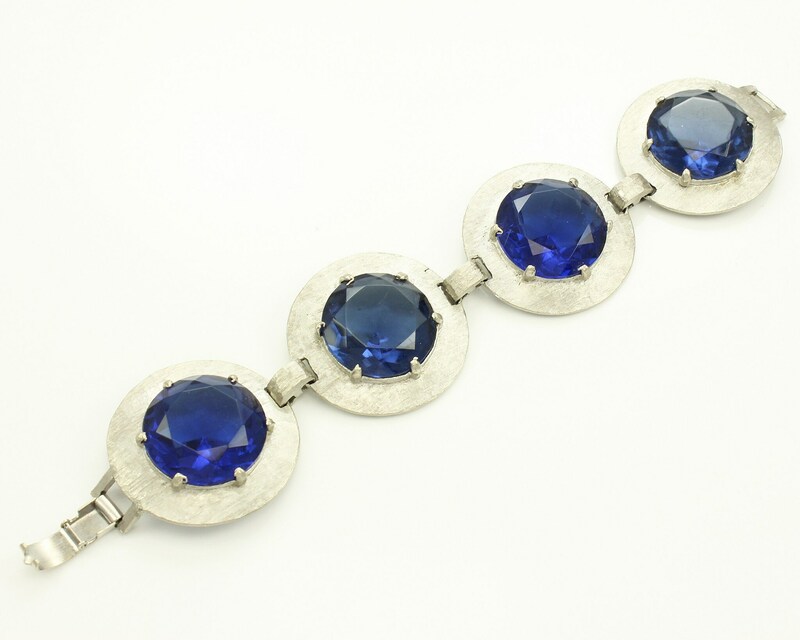 Made circa 1960, this is a high-quality costume jewelry bracelet of four large round links of Florentine-finished silver tone prong-set with large 1 inch diameter molded faceted glass stones. 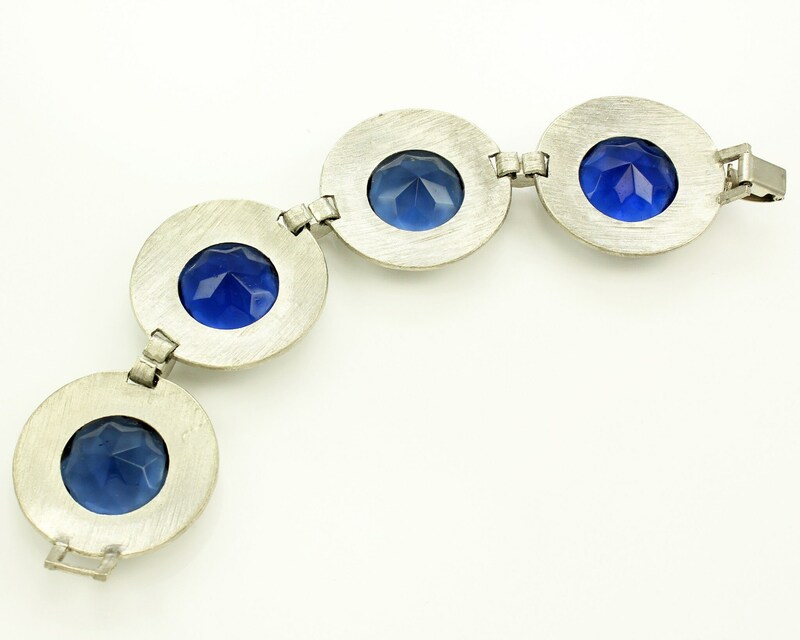 Each link is 1 1/2" in diameter and the total length of the bracelet is 7 1/4". Finished with a fold-over clasp. CONDITION: In very good vintage condition with no damage noted. 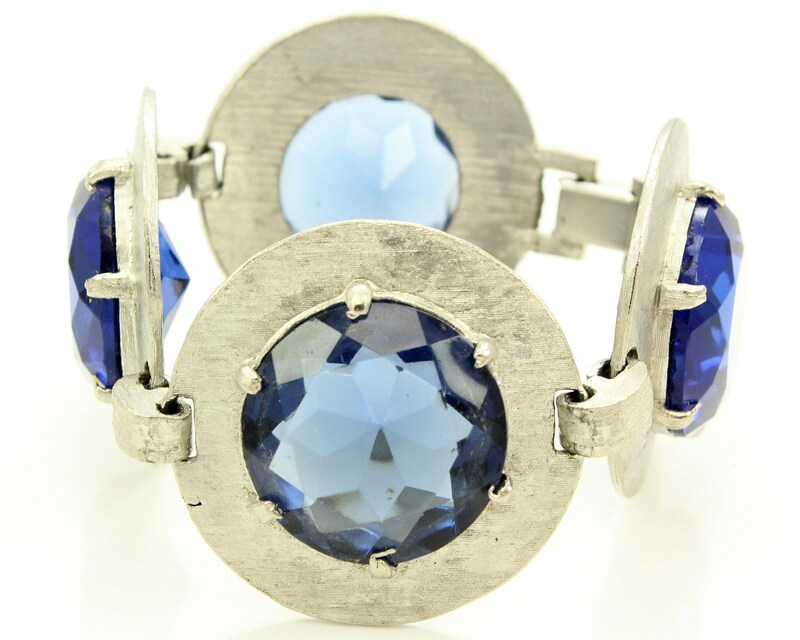 MEASUREMENTS: Bracelet is 1 1/2" wide and is 7 1/4" long.